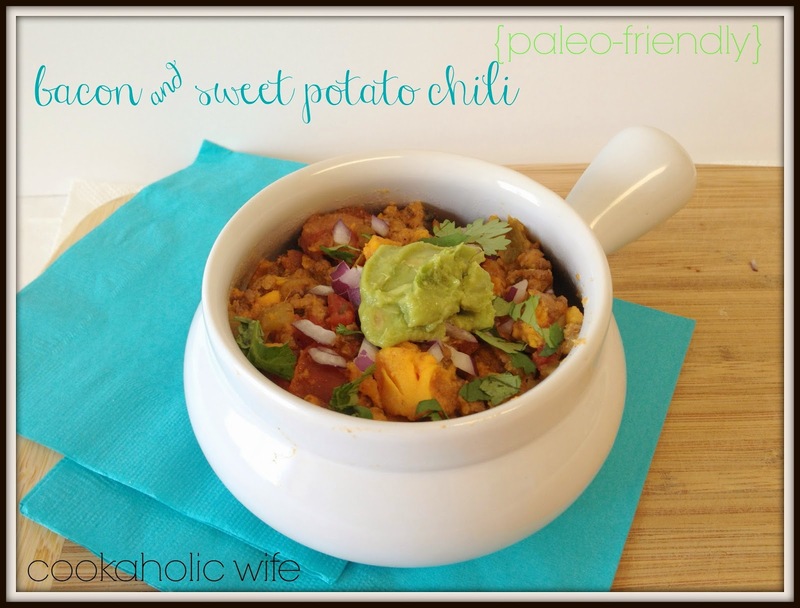 I know ‘chili’ is not something you necessarily think of to eat in the summer months, but the guacamole, cilantro and red onion gave this a much lighter feel than I had expected. I found this recipe on the Stalkerville website when I was doing the Whole30. It was the first time I had made chili without beans in almost a decade. When I was younger and my mom would make chili for dinner, I would wait until the chili cooled, pick out all of the beans and then reheat it in the microwave so it was warm enough to eat. For the most part my mom was only making chili for her and I, so I have no idea why she just didn’t add it in to her dish after the chili had cooked. It would have saved me a lot of trouble. 😉 Somewhere in my early 20’s, probably the time that I started the Abs Diet cooking, I decided I was going to like beans and ate them in chili ever since. You definitely do not miss them in this recipe though. 1. Cook the bacon in a Dutch Oven over medium high heat until crispy. Remove from the Dutch Oven and place on a paper towel to drain. Discard bacon grease, reserving two tablespoons, divided. 2. Return 1 tablespoon of the bacon grease to the Dutch Oven and add the onion and sweet potato. Cook for 15 minutes, stirring frequently. Transfer to a plate and set aside. 3. Add the remaining tablespoon of bacon grease to the oven along with the ground beef and ground pork. Crumble with a wooden spoon and cook until the meats are browned. Drain any remaining grease. Add the spices, 1 cup of water and return the sweet potatoes and onions to the Dutch Oven. Stir until combined and reduce the heat to low. 4. Cook for 1 hour or until the sweet potatoes are tender. Add additional water if the chili looks dry. 5. Crumble the bacon and stir into the dish. 6. 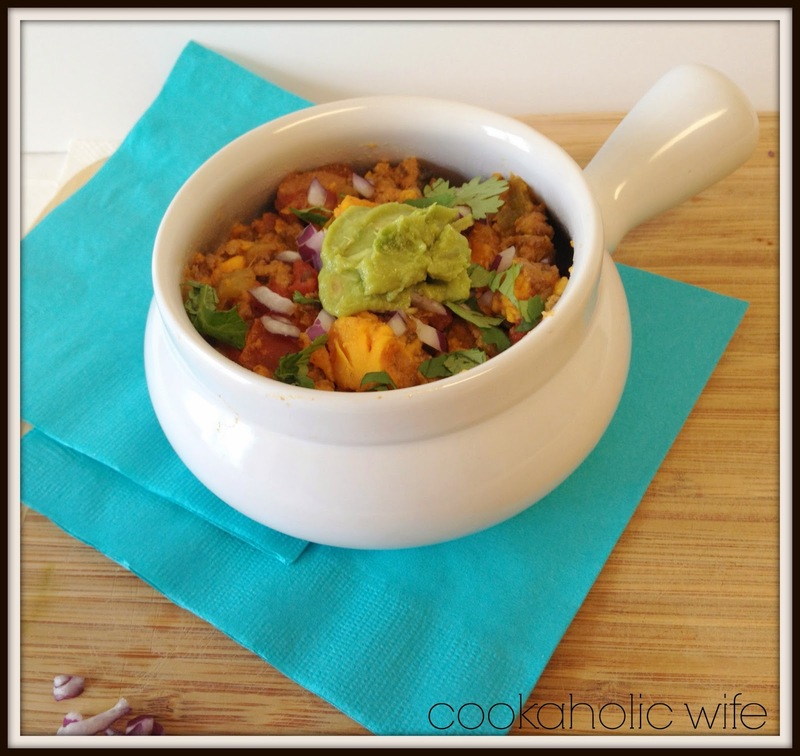 Serve the chili topped with guacamole or avocado slices, fresh lime wedges, diced red onion and freshly chopped cilantro. This was one of the first Whole30 recipes I made and I’m so glad it turned out so well. I loved this dish and while I was hesitant I would miss cheese on top, I can gladly report that I did not at all.